Home Unlabelled How does customization affect the procurement process? How does customization affect the procurement process? The early days of customization have spawned a consumer culture that expects personalization to be one of the basic amenities corporations provide to their customers. This type of demand has pressured manufacturers to seek procurement services to help them acquire the necessary amount of particular goods. As opposed to what some may think, buying a wide array of materials en masse can be extremely wasteful. A market research analyst can provide enterprises with the knowledge necessary to figure out which products are and will be in high demand. Blindly submitting purchase orders for items may seem like the easiest route, but it certainly isn't the safest. According to Woodworking Network, mass customization has allowed lumber companies to deliver a diverse range of individually manipulated products to the market without sustaining an increase in production costs. 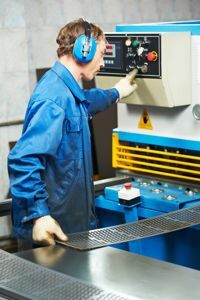 The news source noted that advanced machinery and software has helped organizations achieve corporate cost reduction and simultaneously develop unique materials that cater to the needs of specific customers. Companies that are still struggling to figure out how to cope with customization need to determine how the aforementioned technical assets can work cohesively with management. Again, purchasing factory apparatuses for the sake of catering to a market demanding customization is nonsensical. Guidance throughout the procurement process can provide focus and direction when looking for the appropriate instruments with which to fill facilities. Jordan Reynolds, a contributor to Industry Week, acknowledged a couple of operation models that can help manufacturers satisfy consumers in want of tailor-made products. The first one, engineer-to-order, allows companies to take a project bid, conduct research and development, scrutinize the specifications and then design and build the desired product. This protocol is repeated every time a new custom order is submitted. The second most popular procedure involves mass production. Factories that subscribe to this model often provide their target audiences with personalization features on their websites. For example, some shoe brands allow site visitors to select different colors, sole shapes, laces and other features. The manufacturer than receives the manipulated design and funnels its schematics into software that directs assembly lines. This mode of operation allows corporations to produce customized materials more fluidly, despite the fact that their customers may not be able to benefit from a wider selection of items. Now more than ever, many consumers expect the ability to change items to their particular preferences. Marketing analysis and outsourcing to organizations specializing in procurement management can greatly benefit manufacturers that need to cater to contemporary needs.